With hundreds of VPN providers out there, it can be difficult to know which is the right one to meet your needs. If your primary purpose for buying a VPN (you should never use a free VPN! 5 Reasons You Need to Stop Using Free VPNs Right Now 5 Reasons You Need to Stop Using Free VPNs Right Now Free VPNs are very tempting, but hold on. If you're thinking of signing up to one, you should read this article first. Here are the biggest risks with using a free VPN service. Read More ) is for torrenting, you’ve come to the right place. Keep reading to find out more. 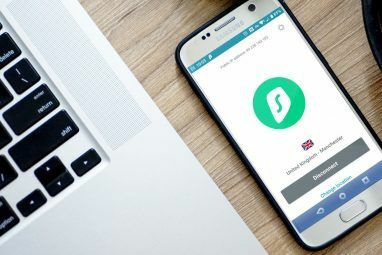 If you’re looking for a VPN for torrenting, there are some specific criteria that will need to be met if you want a smooth and efficient time. Torrent files can be massive. If you’re downloading a lengthy 4K video, its file size could reach upwards of dozens of gigabytes. Therefore, a VPN for torrenting needs two things: firstly, it needs to offer faster-than-average download speeds 4 Useful Tips for When Your VPN Speed Is Slow 4 Useful Tips for When Your VPN Speed Is Slow If you're using a VPN but confused about why it's killing your internet speed, these tips may be just what you need to solve those issues. Read More , and secondly, it cannot throttle your bandwidth. VPN security comes in many forms. Of course, the more secure your plan, the better. Encryption should be a standard, but people who torrent should also sign up for a plan with a kill switch and DNS leak protection. A kill switch will protect you if you unexpectedly lose your VPN connection, while a DNS leak can reveal your identity How DNS Leaks Can Destroy Anonymity When Using a VPN, And How to Stop Them How DNS Leaks Can Destroy Anonymity When Using a VPN, And How to Stop Them When you're trying to stay anonymous online, a VPN is the simplest solution, by masking your IP address, service provider, and location. But a DNS leak can totally undermine the purpose of a VPN... Read More and undermine the purpose of using a VPN in the first place. Ideally, you should never sign up for a VPN that logs your browsing habits 6 Logless VPNs That Take Your Privacy Seriously 6 Logless VPNs That Take Your Privacy Seriously In an age where every online movement is tracked and logged, a VPN seems a logical choice. We've taken a look at six VPNs that take your anonymity seriously. Read More . However, for torrenting, it’s especially important. A lack of logging means the VPN provider cannot be hacked, forced, or coerced into giving up your data to media companies and government authorities. Using a VPN provider with shared IP addresses adds an extra layer of anonymity to your torrenting. Because you’re sharing with hundreds of other people, it is more difficult for bits of traffic to be traced back to your specific machine. So which VPN providers are best for torrenting? Our first pick is ExpressVPN. Let’s look at the service in light of the criteria we discussed above. Firstly, speed. ExpressVPN is fast—really fast. If you live in the United States and have a 100Mbps connection speed without a VPN, you can expect to get around 85Mbps when connected to a server in North America and 60Mbps if you connect to a server in Europe. Just as importantly, ExpressVPN does not limit, throttle, nor restrict your bandwidth usage. It is entirely unlimited. It also boasts more than 2,000 servers in 148 cities across 94 countries. Unfortunately, the company does do some minor logging, but only to record of the amount of bandwidth you use and your timestamps—presumably to help with internal resource management. It does not log your traffic, DNS requests, or IP addresses in any way. It’s also worth noting that the company is based in the British Virgin Islands. The country is not directly part of the Fourteen Eyes information-sharing alliance; however, it’s a British Overseas Territory, and the UK is part of that group. ExpressVPN offers robust security and privacy features. They include 256-bit AES encryption, DNS and IPv6 leak protection, a kill switch, and split tunneling. Split tunneling is useful for torrent users: it lets you put your torrent client on the VPN network while leaving the rest of your web traffic untouched. CyberGhost’s biggest forte is safety and security. Firstly, CyberGhost is based in Romania, and Romania isn’t part of the Fourteen Eyes alliance. There isn’t even a tenuous link, as there might be with ExpressVPN. The company is also entirely log-free. 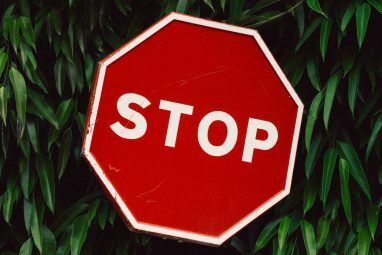 It does not keep records about your traffic, DNS requests, timestamps, bandwidth, or IP address. It also offers shared IP addresses for an extra layer of anonymity. The service comes with both a kill switch and DNS leak protection. However, it has fewer servers in fewer countries than ExpressVPN, with 3,500+ servers in 60+ locations as of this writing. At least the developers have shown a desire to improve this number—10 new servers were added in late 2017. From a speed standpoint, CyberGhost promises you won’t experience less than 6Mbps (assuming your connection with your ISP is fast enough). It does claim the maximum speed attainable given “ideal conditions” is 600Mbps, but that sounds generous to us. With CyberGhost, you have access to unlimited, unthrottled bandwidth. There are quite a few subreddits where you can find VPN recommendations. Two of the best are /r/VPN and /r/VPNTorrents, but you can also check out /r/Piracy. Like CyberGhost, it does not log any data, not even for troubleshooting purposes. It is also one of the fastest VPNs. Independent testing saw it boast an average download speed of 93Mbps on its US-based servers. Its international server average is 14Mbps. Security-wise, Mullvad uses AES-256 encryption for all your web traffic. The SSL handshake uses RSA-4096 encryption. The service also offers a kill switch and DNS leak protection What Are VPN Leaks? How to Test For and Prevent Them What Are VPN Leaks? How to Test For and Prevent Them VPNs should safeguard your privacy, but leaks can reveal more than you might realize. How can you check and stop VPN leaks? Read More . The privacy mantra extends beyond the service itself. Mullvad is also one of the few VPN providers that accept payment in cryptocurrency. It accepts both Bitcoin and Bitcoin Cash. The service has two downsides. Firstly, Mullvad is based in Sweden. Sweden is a Fourteen Eyes member. However, because the company does not keep any logs, the issue is somewhat mitigated. And secondly, because the Mullvad is based in Sweden, the price is only listed in Euros. If you’re based in the US or UK, the precise amount you pay each month will change with currency exchange rate fluctuations. For us, it’s a tossup between ExpressVPN and Mullvad. ExpressVPN has the edge thanks to its non-Fourteen Eyes jurisdiction, but Mullvad’s complete lack of logging will appeal to heavy torrent users who fear reprisals. Mullvad also wins on cost, but non-European users might not appreciate being unable to budget a fixed amount for the service every month. 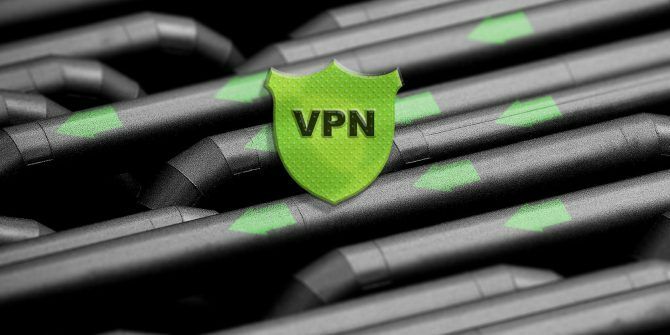 And if none of these three services appeals to you, you can always check out our broader list of high-quality paid VPNs The Best VPN Services The Best VPN Services We've compiled a list of what we consider to be the best Virtual Private Network (VPN) service providers, grouped by premium, free, and torrent-friendly. Read More . Explore more about: BitTorrent, VPN. PIA has done the job for me. Good speeds and consistent. If you are looking VPN for torrenting pick up that one which does not track your activity and is based outside the US. I use Nord VPN for several reasons; first, it is P2P friendly, easy to use and the price is very reasonable with discount code getprivate77. If you are looking VPN for torrenting choose the one which does not track your activity and is based outside the US. I use Nord VPN for several reasons; first, it is P2P friendly, easy to use and the price is very reasonable with discount code getprivate77. NordVPN = Best VPN. This article is just wrong. Wrong. NordVPN = best VPN.